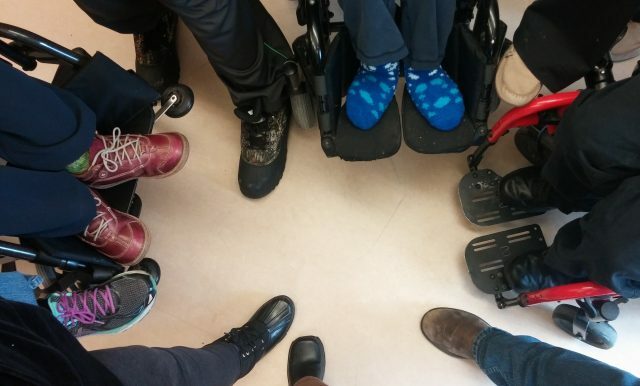 Our Peer Support Program provides and promotes opportunities for people with disabilities to share information, ideas, life experiences and skills. The Victoria Disability Resource Centre (VDRC) is looking to start a new chapter in how we offer peer support. The VDRC’s goal is to provide and promote opportunities for people with disabilities to share information, ideas, life experiences and skills. We believe that it is through the context of a supportive peer environment that individuals can gain the skills and self-confidence needed to overcome barriers and learn to better manage personal and community resources. One-on-one peer support is offered by our information and referral staff, and occasionally through other staff and volunteers at the VDRC. People are able to speak with people who live with a disability (whether it be visible or invisible) and access supports and referrals in the community on a one-to-one basis. Come stop by our office boardroom for some free coffee and friendly chit-chat! All are welcome, even if you don’t like coffee! If you have any questions about peer support at the VDRC, please contact our Peer Support Coordinator at peersupport@drcvictoria.com.